Harrison Thornwick inherited his title but Harrison would gladly give it back to have his brother back. With little time to accept the title Harrison will find that the Prince will be requesting him to marry a Miss Angelina Rule. Harrison will be against the match until he meets Angelina. Miss Angelina Rule has wanted to marry her Captain for the last three years, she had dreamed about it. Now she is being forced to marry another because of her father’s debt. Angelina will be sadden at the fact she can’t marry the man she had wanted, but when she meets Harrison she will find herself wanting him. The Earl Claims a Bride is the second book to the series The Heir’s Club of Scoundrels Trilogy by Amelia Grey. I really liked this book. Harrison’s character was a good guy. In his past he had a definite wild side but that is tamed especially when he finds himself attracted to Angelina. I liked that he had actual feelings for Angelina and it was not just on the surface. I wanted him to win the affection of Angelina instead of the Captain because the Captain was not the same man as he once was. I thought it was interesting that Harrison also knew more about Angelina in such a short time than the Captain ever did. Personally I think that the Captain just saw what was on the surface and didn’t truly know the woman he wanted. Angelina’s character was a dutiful daughter who wanted to do right by her father. I thought it was cruel that the father did this to his daughter. I liked that Angelina was staying true to her Captain but I wanted her to realize that the feelings she had were no longer there. The feelings she had for Harrison were alive and well. I am reading the third book next. Double the Pleasure is a collection of four stories by four different authors. My drive to read this book was because of Lori Foster’s novella Deuces Wild. This novella is part of the series Winston Brothers and Cousins. I loved this series especially the story that had Joe in it. I liked this novella. It was short but overall it was good. The story was about twin brothers and Hart had to leave but needed Dex to stay and pretend to be him. The problem happens when Dex’s meets and girl and she thinks that he is Hart, and Dex goes along with the lie. I felt that the girl forgave a little too easily but it had to be done quickly with the story being a novella. I liked the twin brothers. With reading Dex’s story I am intrigued with Hart and what was going on with the girl he had been with then left. It might be awhile before I find his story but I will be on the look out for it. The other authors and their stories are The Lucy of the Irish by Deirdre Martin, which is about a carpenter who has the choice of going home to Ireland or sticking around in New York. With this one I wished that it was a book because then you would have gotten to really know the characters. You got to know them but it felt way to quick. The next book is Your Room or Mine? by Jacquie D’ Alessandro. This one is all about coworkers who judge each other to quickly but with a weekend to bond things will heat up. I liked the story. Once again I thought it was too short but it was enjoyable. The last book of the collection is Double the Danger by Penny McCall which is with an FBI agent and witness protection. Personally I wasn’t that into the book. I read it but it didn’t really thrill me. Overall I will have to say that this collection was an enjoyable read. Tagged artist, author Deirdre Martin, author Jacquie D'Alessandro, author Lori Foster, author Penny McCall, carpenter, coworkers, Double the Danger, Double the Pleasure, fighter, Ireland, neighbor, The Luck of the Irish, twins, waitress, writer, Your Room or Mine? Billionaire Sebastian Cabral never wanted to be famous like his family. He avoided their reality tv show like it was the plague. He will get worried when his ex shows up and wants to get back together. Sebastian will do something drastic and ask Chelsea to marry him. He will be shocked that she agreed to his proposal. The marriage was supposed to be platonic but Sebastian could not stop from wanting his wife. Chelsea Hall was a happy person on the outside and around other people but when she was alone and in the dark she was terrified. Chelsea will have too many things happening which will lead to her to make a rash decision and get married to Sebastian. She will feel safe with him but she will be worried when her past and his reality collide. The Billionaire Takes a Bride is the third book to the series Billionaires and Bridemaids by Jessica Clare. I really liked this book. It was fun with lighthearted writing, steamy scenes, then it will get darker as a secret from Chelsea’s past will come out. I loved Chelsea. She was a young woman who had a tragic past and to help her handle the nightmares she becomes part of a derby. Playing lets her become stronger and not the scared woman that leaves on all the lights. I liked how Sebastian’s character will be a big help to Chelsea. Sebastian is a stand up guy who has a wacky family. I liked that Sebastian doesn’t want to be famous with his family and I liked how he finally stood up to his mother who did something bad without knowing. The interaction between Sebastian and Chelsea was really well done. It felt real with how they were interacting together and it was sweet. Of course it will get steamy as they get closer and understand what they need from one another, especially Chelsea. The secret that Chelsea was holding was predictable but well done. It was a tragic event that happened to her and it will get even worse towards the end which had me cringing. I am waiting to read the fourth book which is out now. I am excited to read about Asher and Greer. Isabelle West was an artist and was very guarded. She was guarded as she had been hiding for years from her past, though her past was about to be revealed. Tom Duncan was on a task to protect a judge, his job did not include checking out an artist who had trust issues. Tom will follow his gut and find that Isabella was not who she seemed. 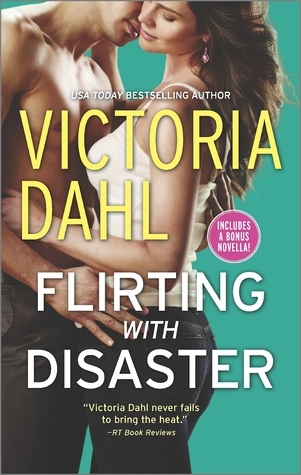 Flirting with Disaster is the third book to the series Girls Night Out by Victoria Dahl. I liked this third book to the series. I thought it went in a different direction than the others with a mistaken identity and dealing with cops. Although with all that was going on it still felt light (not a suspense novel) but full of romance. The characters are strong in their convictions and passions which makes Isabella and Tom almost explosive when they interact. I liked how Dahl created Isabelle’s character, you got the impression that she did not trust easily and was a loner for most of the time. The mystery behind her past intrigued me as a reader. Now Tom was a good man and solid US Marshall. He did his job well but he gets in trouble when he meets Isabelle, especially when he finds out that she is hiding something. You knew immediately there would be trouble when he didn’t come clean that he knew about her past. The fourth book comes out this month and I’m sure that I will I will be picking it up in the near future. Nell Calder was an ordinary woman who was a wife and mother but she will find herself in a horrendous situation. Her family will be attacked and killed at a party. Nell will survive but barely. She holds on with the hope to get her revenge which is where a man named Tanek who will train her to fight their mutual enemy. 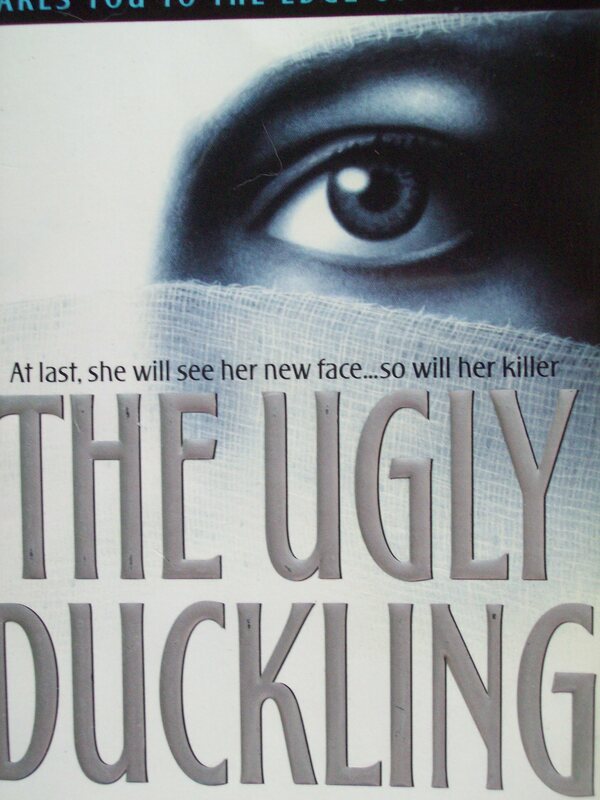 The Ugly Duckling is a novel written by Iris Johansen. This book was a really fantastic thriller that will keep you on your toes until the very end. I have read many books by Johansen and each book that I have read I have loved to read. She is a great storyteller when it comes to suspense thrillers. You get swept up into the story. So the character of Nell was a loving yet shy and weak housewife. That all changes when she was cut up and left for dead. I liked Nell’s determination that came with this horrific change in her life. She struggles and fights to get stronger, to fight the man that destroyed her life. I liked how Tanek trained her, he did not sugar coat the training and made her fight harder if only to learn to protect herself. Now Tanek was a solider, a man who manipulated and fought for what he wanted. Though he really was a good guy, just hard around the edges. He wanted revenge against the same man which made Nell and Taneck perfect partners. I thought the idea of her transformation was interesting. When her attack happened it was very damaging to her body and her face was destroyed. She became a beauty which was something she had been told would never happen. Her beauty helped opened doors which brought her closer to her revenge. Within the book there were plenty of twists where you thought one thing another thing happened it completely changed the situation. Or the person you thought was good turned bad. Johansen kept you guessing, though one thing she made sure happened was for Nell and Tanek to get their revenge. Miss Sarah Moorehouse is her sisters companion and has come with her to a house party. She is not looking for a man, only to be with her sister and friends, and in the quiet hours of the night her friends will discuss scandalous books. Sarah’s active imagination will lead her to wonder about their host Matthew Devenport and what he was doing late at night. Matthew Devenport, Marquess Langston, had a limited time to do his fathers bidding and his time was almost up. If he couldn’t find what he needed he would have to marry a wealthy heiress whom he didn’t love. It becomes difficult when his thoughts will be only surrounding Sarah. Sleepless at Midnight is the first book to the series Mayhem in Mayfair by Jacquie D’Alessandro. I absolutely loved reading this book. It was fun with with characters that you wanted to read about. I wanted to know about Matthew and Sarah as they were characters that captivated my attention. Sarah was a spinster and knew it. She didn’t dream of finding a man wanting her but low and behold she will find a man who will want her. The problem is the man needs an heiress. The good thing is there is an attraction that is on both sides. Sarah is an artist and has an active imagination but she is right that Matthew is up to something. I liked that D’Alessandro gave us only little hints to what Matthew was up too. That kept your attention on the book. Matthew was a good man in a bad situation. I loved how he wanted Sarah but he fought it knowing he could never have her. Well that good intention will go out the window when Matthew kisses her. The villain you knew would be a member of the house party. It was just a matter of figuring out which one was the person. I liked the conclusion D’Alessandro gave to the villain which results in a very happy ending for this unlikely couple. I was really happy with how D’Alessandro ended the book with Sarah and Matthew, it was the perfect happy ending that had me smiling as I closed the book. I will be reading Carolyn, Sarah’s sister, next. Lila Emerson was house sitting when she looked across and saw in the window a couple fighting like they had been before. Lila will be shocked to witness a woman being pushed out of the window but she will not have clear view of the person who pushed the woman. She will do what she can to help solve the case with Aston, the brother of the deceased. She will not know that doing this will be putting her life in danger. Artist Ashton Archer has just lost his brother who was thought to have murdered his girlfriend and then killed himself. Ash knew that was not the case and would enlist the help of the key eyewitness, Lila, to help prove it wasn’t his brother who murdered the woman. But by enlisting Lila’s help he will be putting her life and his own in danger. 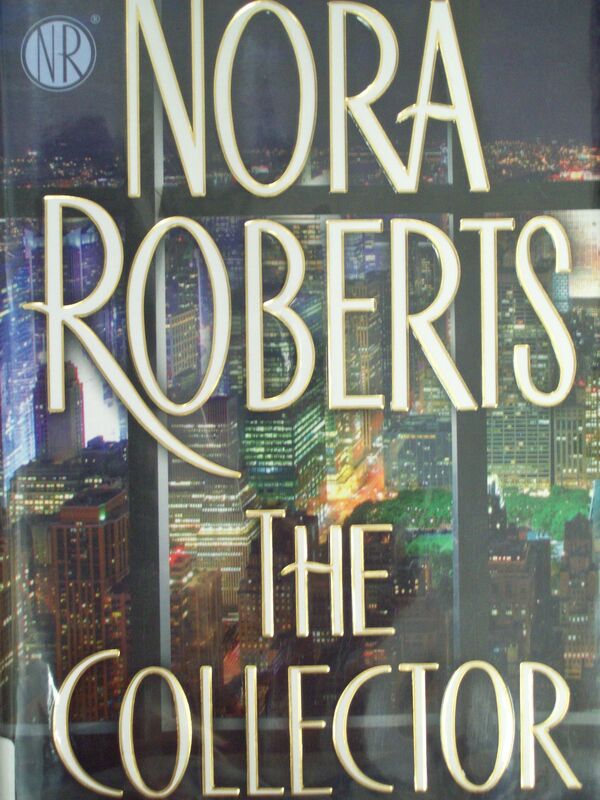 The Collector is a novel by Nora Roberts. I am an avid reader of Nora Roberts and will most always try her books as she is a good author and her books are enjoyable. I am not going to her books as much but when a book comes out that sounds interesting I willingly read the book. Now this book had its good moments with intrigue of this murder/suicide and who was the real mastermind behind it all, but other than that I didn’t connect with the main characters. Lila and Ashton were characters that came together in time of tragedy and confusion. I liked them for the most part but I couldn’t believe that they were together. I get that with tragedy you bond but for some reason with how they were created to be I couldn’t see it. How Roberts writes her stories you are pulled into the story but I felt that I grew a little bored with all that was happening. When the action and intrigue part was upon us the story for me grew interesting because I wanted to know the person behind it all and know the reason why they are doing it. You are introduced to one of the villains in the book pretty quickly and they are vindictive but to know the person who is pulling the strings to this job that is what was driving me to continue the story. I will still be back for more on Nora Roberts as there are plenty of novels to read from her that I have yet to try.